Nowadays, more and more people use WordPress CMS to build the website for different purposes. There are many tools which users can use to create a page on your website. One of the popular tools favored by users is that building page by using Page Builder. These WordPress page builders allow you to create, edit and customize your site layout without writing any code. It enables you to actually see what you are creating while you create it. It’s easy for you to edit element directly on your page. The time for building a website will be saved. In this article, we will review 5 fantastic drag and drop page builders for WordPress. 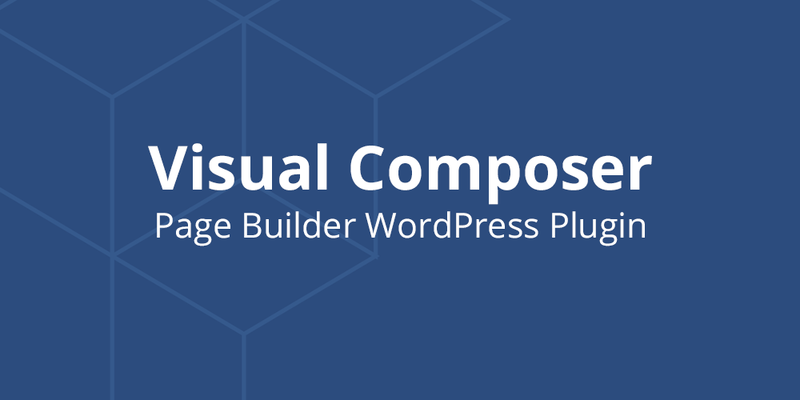 The Visual Composer plugin is one of the top selling drag and drop plugin on the market. This is an outstanding plugin helping you easily to build your page with the over 40 shortcodes included in that plugin are ready to you. With the Visual Composer, you get to choose whether you want to design your website on the front or backend. In addition, one of best features of this plugin is its flexibility. You can add more modules if you know what you’re doing. And it is compatible with small device as tablet or mobile. Page Builder by Site Origin plugin is a free plugin. This is the most popular page creation plugin for WordPress. It makes easy to create responsive column based content, using the widgets you know and love. Your content will accurately adapt to all mobile devices, ensuring your site is mobile-ready. In addition, this plugin has history browser tools which allow you to switch back and forth to undo and redo changes that you made. This is a huge time saver and gives you a peace of mind knowing that you revert and undo changes. One of the best drag & drop page builders is Beaver Builder. It is not difficult to use this plugin to build beautiful home pages, professional landing pages and more. Beaver Builder comes with a live drag and drop interface. You get to see all your changes as you add them by simply dragging elements from the right side and dropping them on your page. You can click on any element in a page to edit its properties. Saving this plugin with $99 for a standard version. 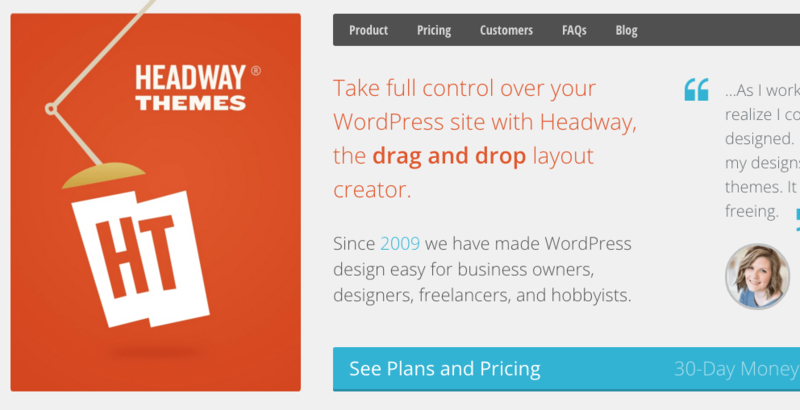 Headway is a drag and drop theme builder for WordPress. The tools allow you to use a visual editor to build your own layouts and themes for your own WordPress site, or export theme for using on another WordPress site. You can easy customize the style of the site by changing the fonts, colors, borders and many other visual elements. In addition, you can enable Headway’s responsive grid to ensure the main layout and blocks adapt for smaller screen sizes as needed. Starting from $59 for a single site license. Unlike other page builders, Live Composer is 100% free and an open source. You can use it to build any free or premium theme. It consists of 30 different modules for you to include on your page, and you have never worried about any coding. What makes this plugin unique is that it comes with professional supporting for case you are having problems. Live Composer also supports the mobile responsive feature. It’s easy to create responsive websites in our page builder. You can customize responsive presentation of any page elements to make it looks perfect on all mobile device. We hope this article will help you find the best WordPress drag and drop page builder plugin for your website. If you find other page builders, don’t hesitate to share with us. Greetings! I’ve been following your weblog for a long time now and finally got the courage to go ahead and give you a shout out from Kingwood Tx! Just wanted to say keep up the good job!